Did you have a positive experience with Debra? Share it with the world by creating a Homes.com endorsement! I just wanted to say Thank You again for going above and beyond to help me find a house. You have a special talent in your profession and are an asset to your company. You showed genuine concern and worked very hard to make this happen for me. Thank you so much for your financial sacrifice as well. It was very nice to meet you and work with you. Thank you so much for everything you have done for me. You have gone beyond the call of duty and your boss should recognize that, so please pass this on to him. You didn't sell me a house and forget about me. You actually worked right along with me in everything that had to be done. You never made me feel that I was putting you out. You were there even for the small stuff. You made a real difference in my life. I am a very scheduled type of person and don't like change. We are having settlement, getting married and moving within a 30 day period. That's a lot. Now add on that I'm 64 and doing all of this. These are life-style changes we are talking about and there are three of them right in 30 days. You are the one who is making this all so pleasurable. Debra Butler was our realtor who successfully helped us find an affordable (second house) near Clayton, GA. We worked with her for over a year. She was always very attentive to details and very patient in dealing with us. She was very friendly and easy to talk with. 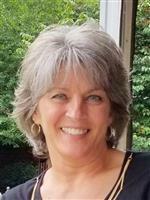 She is very knowledgeable of the real estate industry and the entire Clayton area. She always would go above and beyond in making good recommendations on others who could assist us both pre- and post-purchase of the home. We would highly recommend Debra to others -- and if we ever need to purchase more property in Rabun County, GA -- she would be the first person we would contact.